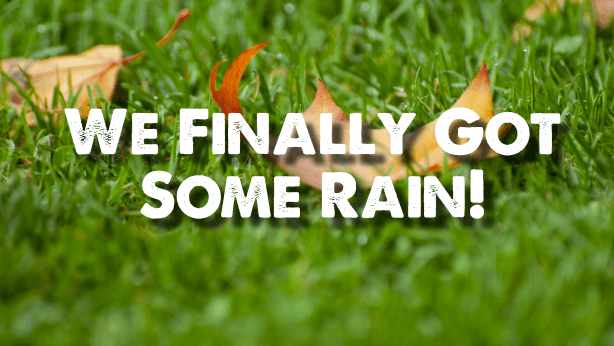 Unfortunately, we got almost ALL of Septembers rain in 5 straight days. We did need the rain for Aeration and seeding. We are 100% into Aeration and Seeding season. The temperatures and rains are starting to help in the process. Our crews are working hard to get through the list of properties that need their lawns refreshed with aeration and seeding. The good news is, we still have room in the schedule to add more to the aeration and seeding list. Aeration and Seeding is SO IMPORTANT to improve the density of your turf. NOBODY and we mean NOBODY takes the time to this service as well as we do it. Our aeration process takes extra time, which means we thoroughly aerate and refresh the soil in preparation to receive the seed. If you have any questions about the process or would like to be added to the list please call our office at 615-269-7706 or email us at support@turfmanagersllc.com. Tree and Shrub installations, from now through Spring of 2019. Let us help you get your fall plan for your lawn and landscape worked out. We have a team of knowledgeable folks ready, willing and able to put together a lawn and landscape plan or maintenance plan that is designed specifically for you and your property. Call today 615-269-7706 or email us at helpdesk@turfmanagersllc.com and we will get started on a plan for you today!!!!! Remember, we love love love love love referrals. You know, people like you. So if you have friends that are like YOU we would LOVE to help them too. If your friends are NOT like you, well we have a list of other companies we can refer them to.